A few weeks ago my dear friend’s husband surprised her with a trip to Europe! I mean, what a guy, right ladies? I was so happy for her (and truthfully, a little jealous too!) We caught up when she got back she told me that another friend told her she deserved the trip. The word deserved caught my friend off guard and she wondered if she really did deserve it. See, if anyone deserves a trip to Europe, it’s my friend. She is an amazing mom to four little ones who are almost as cute and amazing as my own four! She manages to work and stay at home and somehow does both as if they were her only job. She is a kind, compassionate, loving person, and a good friend. 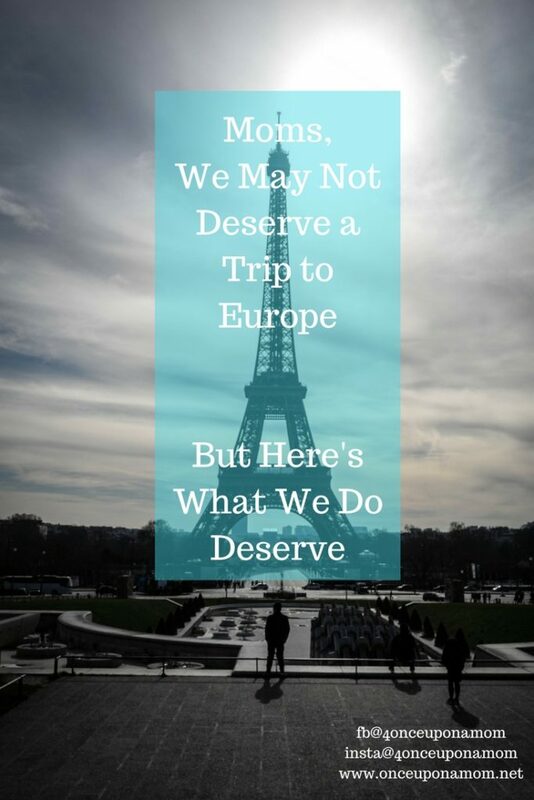 But did she deserve a trip to Europe? I am very blessed in that I have the privilege of knowing many awesome moms like her. I really have a pretty amazing tribe filled with stay at home moms, working moms, moms with 5 or more littles, moms with special needs kiddos, moms taking care of their ill parents, moms grieving miscarriages, moms with kids with constant medical battles, and the list goes on. But the thing I love most about my friends is how hard they work every day for their kids, how hard they love on their kids. Honestly, I would love to send all these ladies on a European vacation. Heck, while I’m at it, lets make it a girls’ trip and we’ll all go! But, I don’t know if we deserve it and I think that’s because it just might not be in the cards for all of us. What I do know is-that’s not the end of the story for us, for you. So what do we deserve? Here’s what you do deserve. Respite. Time for Self-Care. A break from your kids, your work, your responsibilities. Time to rest and relax. Time to reconnect with your spouse or your best girlfriends. Time to spend on your own, enjoying a hobby. You deserve this because of everything you do for your kids. You deserve this so that you can return to your family refreshed, rejuvenated. Honestly, when my kids were babies, just some time to myself was enough. It truly restored me. Just walking into a store without my 4 little drunken sailors bumping into everything and everyone, made me feel lighter and almost giddy. Now, I can see that what I need has to be more substantial. Something that truly fills me with joy and leaves me satisfied. When I spend my free time scrolling aimlessly through social media or or watching reruns of dumb tv shows I’ve seen before, I hardly feel refreshed. It’s like being hungry and eating fast food. It tastes good at the time, but you feel terrible afterward, right? What I need now is some quality time with my sister, a dinner out with my husband, a really good book, or some time spent writing. Mommying is hard work, it’s not for the faint of heart. You must take care of yourself so that you can be everything you need to be for your kids. 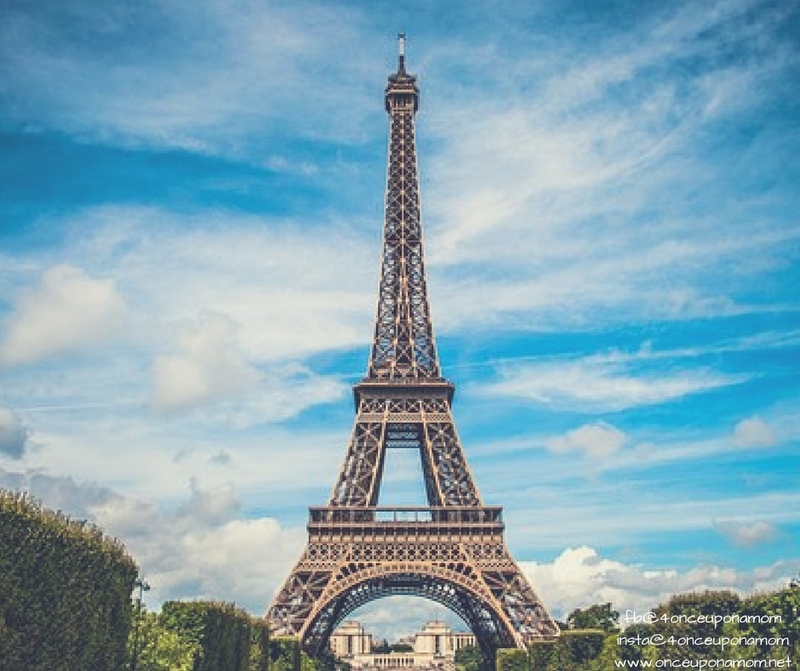 If, for you, that comes in a trip to Europe, take it! Jump at the chance, go! If it doesn’t, find out what your respite will look like: A weekend at a local B&B with your husband? A night out with the girls? A solo trip to Target? Some time at the gym? Daily prayer or meditation? Some combination of these? You are the mom – you are responsible for the total well-being of tiny humans, which at times, feels completely overwhelming and out of your control. You are taking care of thousands of little details every day, mostly unseen by those around you, and most likely, you set the tone in your house. 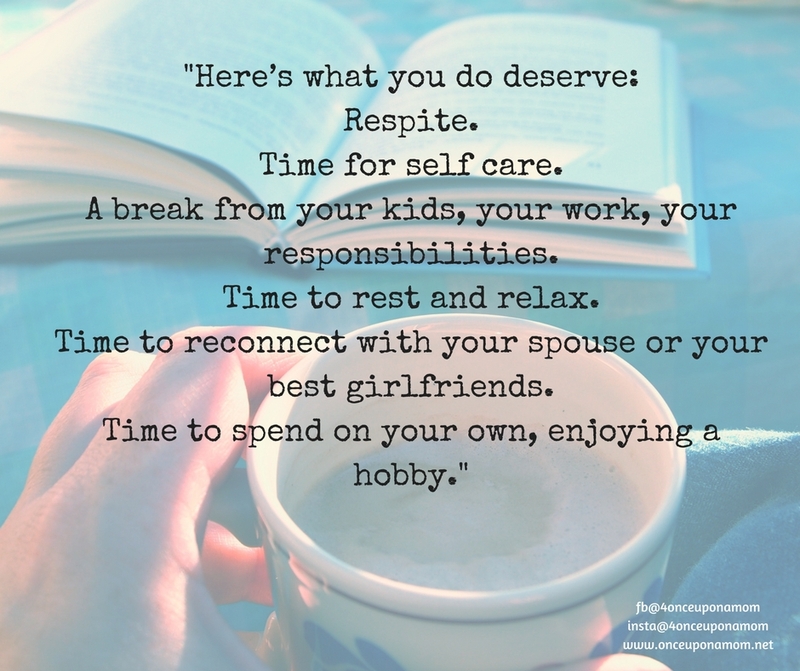 You deserve respite. So, just because our break, our self care, may not look like a trip to Europe-that doesn’t mean we don’t deserve our respite. Don’t neglect it ladies, don’t neglect yourselves. Anne, this is beautiful. So well said and important.